Our suite of products consists of comprehensive reports tailored to the specific need of our property management customers and are designed to minimize risk and maximize returns. 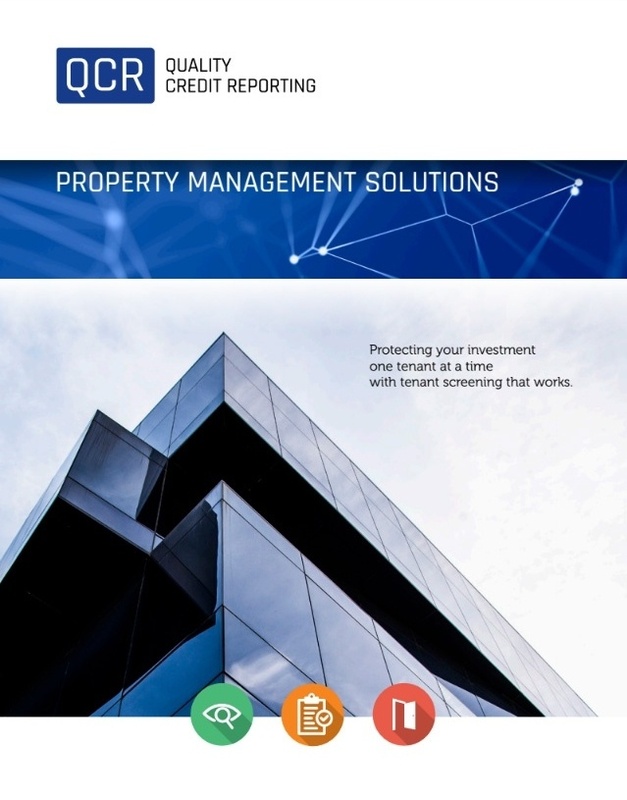 The information provided in every report is current and accurate, which is integral to the decision-making process for property managers and will help you enhance your risk management and acquisition initiatives. Prospective Tenant Reports: Qualify your prospective tenant with a comprehensive report revealing the essential information to make the right decision. Confirm the credit worthiness of the applicant, based on a full credit profile which includes current ratings from banks, landlords and trades. These references, combined with current corporate status, lien registrations, collections, legal actions and repayment history, result in the most complete report in today’s market. Renewal Tenant Reports: Review your tenant with a fresh assessment of risk to ensure that they can continue to satisfy the obligations of their lease. It is important to note that during the course of a lease, a tenant’s financial situation often changes. Skipped and Delinquent Tenant Reports: Begin the debt recovery process by identifying your delinquent tenant’s assets and liabilities. Determining the probability of debt recovery with an Asset Accumulation Report may save further losses incurred by the expense of a legal action. Also, the report will allow you to proceed with an action with the confidence that there are assets to satisfy an impending judgment. Real Estate Acquisition Due Diligence Reports: Complete your due diligence by assessing the quality of the tenant base you are acquiring. An Acquisition Due Diligence Report will remove uncertainty from decisions made to analyze the cost benefit of an acquisition. Assess the risk by determining if the income stream is likely to continue and gauge the underlying quality of the tenant base. Design Build Reports: Investigate the tenant thoroughly prior to commencing construction. Design builds come with a higher risk, due to significant upfront costs and a longer-term commitment from a tenant. Understand your tenant’s financial ability to satisfy a long-term relationship. Is the corporate entity registered, active and in good standing with the Companies Branch and Corporate Tax Branch? Is the prospective tenant registered to do business in the applicable Province? What are the banking relationships of the prospective tenant, including current deposit account balances, term loans, operating lines and NSF activity? What are the liabilities including credit card balances, mortgages, term loans, lines of credit and leases? What are the prospective tenant's assets including bank account balances and ownership in real property? Is there any derogatory credit information including: late payments, NSFs, collection claims, tax liens, legal actions, judgments, bankruptcies and proposals? What are the account particulars and payment history with landlords and trade suppliers?